Questions about authority have been long debated and have been at heart of much conflict and strife throughout history, in both secular and religious contexts. Who has the authority in a given situation? How can they use it? Does the British Parliament have the authority to tax the American colonies without representation? Does the King of France have the authority to rule as a sovereign over the French people? Does the Pope in Rome have the authority to teach and safeguard the Truth? Does the Church have the authority to change doctrines? 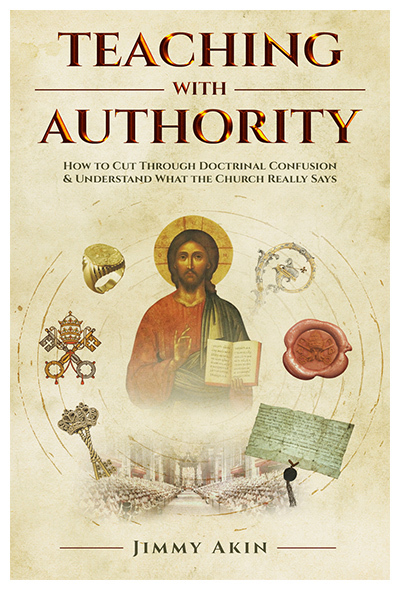 Jimmy Akin, senior apologist at Catholic Answers and author of several books and numerous articles, has written a new book meant to help readers understand Catholic teaching about authority. Where does the Church’s teaching authority come from in the first place? How are we to weigh dogmas versus practices, doctrines versus disciplines, conciliar declarations versus papal interviews? What is the difference between all the different types of documents, the different manners of papal or conciliar or synodal pronouncements? These are some of the important questions addressed by Akin in Teaching With Authority: How to Cut Through Doctrinal Confusion & Understand What the Church Really Teaches (Catholic Answers, 2018). 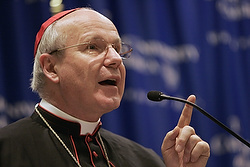 He recently corresponded with Catholic World Report about his new book. Jimmy Akin: I presented Catholic Answers with the idea. I had wanted to write this book for a long time, and I had done presentations on the topic to the other apologists on staff, but I wanted to be able to write about the information in-depth. CWR: Is this something you’ve been working on for a while, or only a short period? Akin: I’ve been working professionally as an apologist for more than twenty-five years, and I’ve worked closely with magisterial documents that entire time. I realized early on that they had to be interpreted very carefully, and so I’ve studied the principles involved for decades. CWR: Quite a few people have an aversion to the word “authority”, which for many of them has a purely negative connotation. Why is authority important, especially in a religious context? Akin: I have a section in the book where I deal with the modern hangup about the word “authority.” Fortunately, there are uses where it still has a positive connotation to modern ears, as when we talk about someone who is an authority on a subject, meaning a person who knows a lot about it. Also, C.S. Lewis has a very helpful passage where he points out that almost everything we believe is something we believe “on authority.” Everything we haven’t personally seen and tested for ourselves is something we believe because someone who we trust informed us about it. This is especially important in religion, because we cannot directly observe the spiritual world, only the physical one. If we are going to know the truth about many spiritual matters, God must take the initiative, as he has by sending us angels, prophets, and his own Son. CWR: Have you always seen the importance of authority in religion? Or is that something that came with your conversion? Akin: I realized the importance of authority in religion following my conversion to Christianity. I realized that I needed to take Scripture seriously and regard it as an authority on religious matters. As I worked my way toward the Catholic Church, I realized that it wasn’t the only authority and that I needed to take Tradition and the Magisterium seriously also. CWR: Catholics and Protestants have different ideas of where teaching authority lies, and the degree to which teaching authority can be wielded. How important is this difference between Catholics and Protestants? Akin: Authority is a key issue separating Catholics and Protestants. Sola scriptura, or the proposal that we should do theology “by Scripture alone” has often been called “the formal principle of the Reformation.” Together with “justification by faith alone,” it has been considered one of the two main principles of Protestant theology. However, sola scriptura is a distinctive of the Protestant community. Other Christians, including Catholics, Orthodox, and the ancient Eastern churches, recognize the importance of Tradition and the Magisterium. CWR: Why is it important for Catholics to understand this question of teaching authority? Akin: The teaching authority of the Church plays a huge role in the lives of ordinary Catholics. To cite just one example, the divinity of Christ is at the core of the Christian Faith. It affects everything we do as Christians, and it was defined by the Magisterium at the First Council of Nicaea in A.D. 325., which was defending against the idea that Jesus was a merely created being. 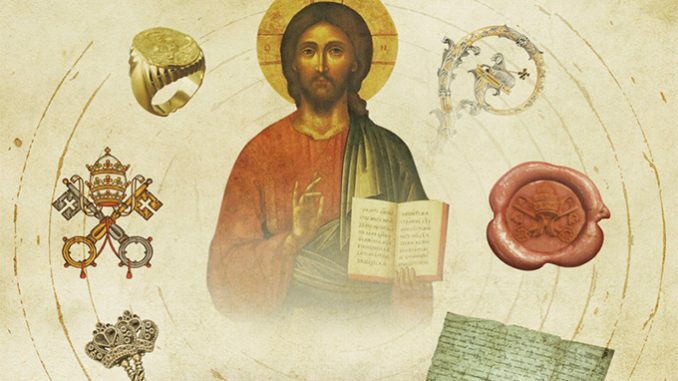 Through the centuries the teaching authority of the Church has carefully worked through and pronounced upon countless issues that shape our lives as Catholics. The impact of the Magisterium is powerfully felt today, as illustrated by stories constantly appearing in the media about what popes and bishops have said. The pope can’t give a press conference without the media combing through it to see what it may say about hot-button issues of our day. But the media is unreliable, as are many Catholic commentators. If you want to sort your way through the resulting controversies, you need a firm handle on how the Church’s teaching authority actually works. CWR: Does the ordinary Catholic have authority to teach? Akin: Parents have the authority to teach their children, and everyone has the ability to share God’s word in keeping with the knowledge they have acquired of it. However, only the bishops teaching in union with the pope have the divine guidance that Jesus promised his pastors, and only they have the ultimate authority to teach in his name. CWR: What are you hoping the book will accomplish? Akin: I hope that the book will open up the world of the Magisterium and its teachings to a whole new group of people—and that it will give them confidence in sorting through the controversies that are constantly coming up with respect to Church teaching. There is an enormous amount of misinformation out there, including on Catholic blogs, podcasts, and internet sites. Too many people are holding forth on these issues without the needed background, and this book is meant to help ordinary Catholics cut through the voices of confusion. Akin: This is a one-of-a-kind book. It’s written so that anybody can read it, not just specialists. 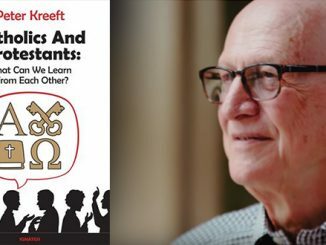 There have only been a handful of books that try to cover the subject, but they were written years ago, and until now they have been written for theologians and seminarians. This one is meant for everybody. The book also includes material you won’t find elsewhere. I did a lot of research into subjects not covered in other books, and I made sure that this one is throughly up to date. 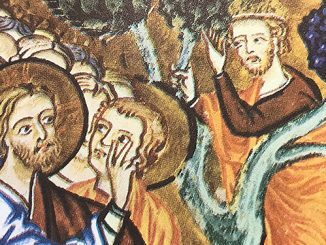 There have always been controversies about Church teaching, and there are many today. 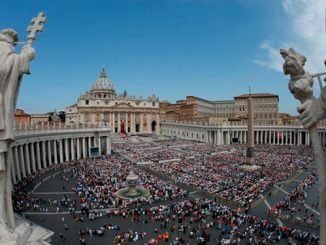 Just look at the ongoing controversies about Vatican II and what it taught, or at the recent controversies regarding divorce and Holy Communion, homosexuality, and the death penalty. This book will help you sort through what the Church actually teaches—and what it does not. I ordered and have received my copy, though I have not yet begun to read it. There are other books on this topic: Gaillardetz’s “By What Authority?” and Dulles’ “Magisterium: Guardian and Teacher of the Faith.” It will be interesting to note distinctions / differences. I have great respect for Mr. Akin so I look forward to it. If only the bishops and the pope have the divine guidance that Jesus promised His pastors, how is it that the laity participates in the infallibility of the Church? The laity is also guided by the Spirit of Truth.